Deanrius of Faustina Senior (138-161) minted in Rome after her death (in 141) by her husband Antoninus Pius, after 147. RIC 371. 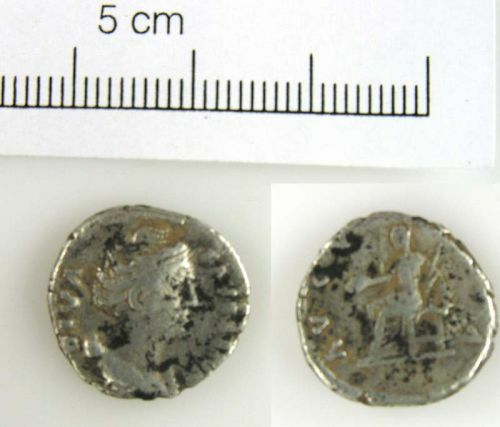 Reverse description: VEsta seated left holding patera and short sceptre. Silver denarius of Faustina Senior, minted in Rome after her death by Antoninus Pius, AD 147-161, RIC 362. This is a plated contemporary copy.